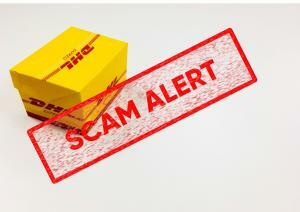 There are an increasing number of reports of very genuine looking emails from DHL informing recipients that they have a package coming. Recipients are surprised so they click on the attached invoice, this downloads a particularly nasty malware known as “Gandcrab”. Once installed the malware will corrupt all your files and a payment in a digital currency is demanded. To give you an idea of how common ransomware attacks are in the UK according to Sonic Wall the average UK business faced 38 attacks a day in 2018. Keep safe – Ensure that you have anti-virus protection, that it is up to date and switched on. However, it should be noted that with this ransomware there is currently no defence to!